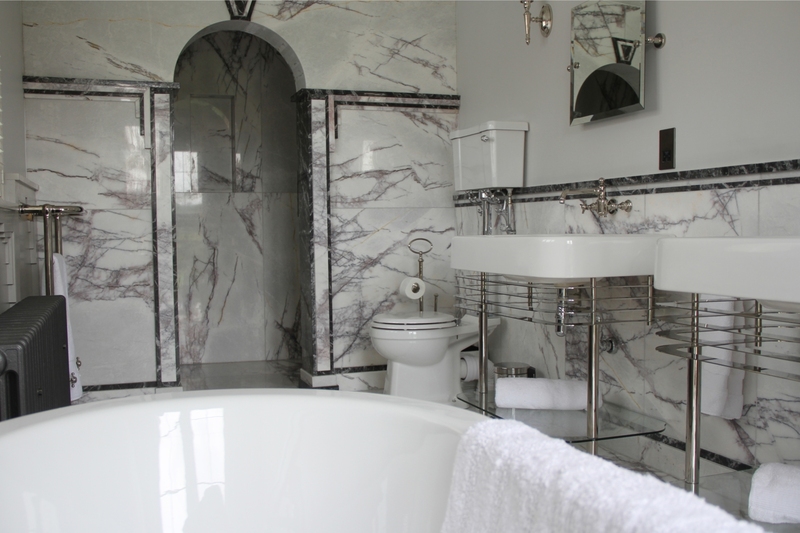 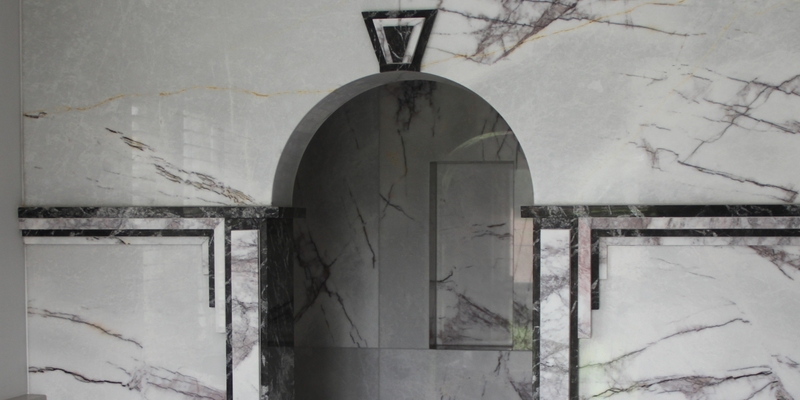 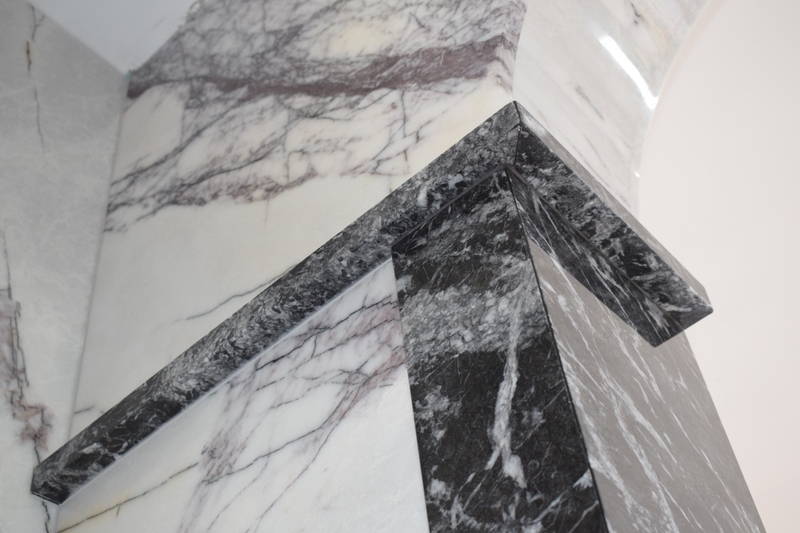 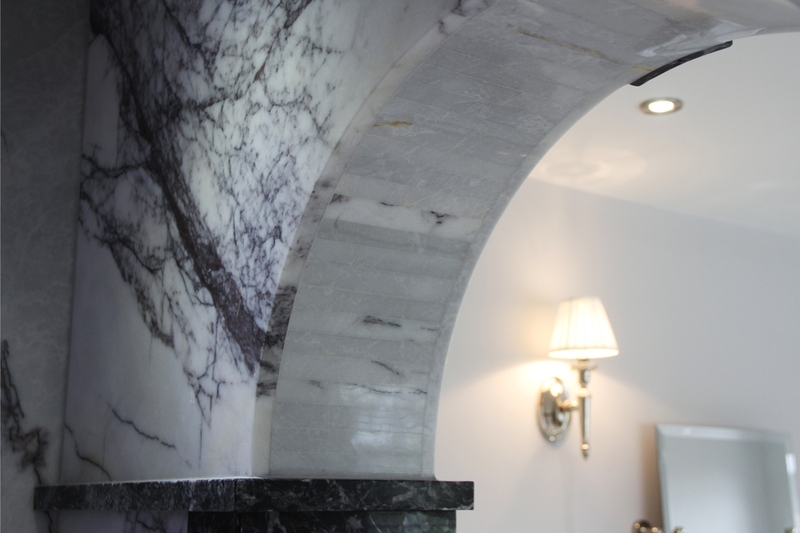 Kinorigo worked with the designer and client to supply and install this stunning marble bathroom. 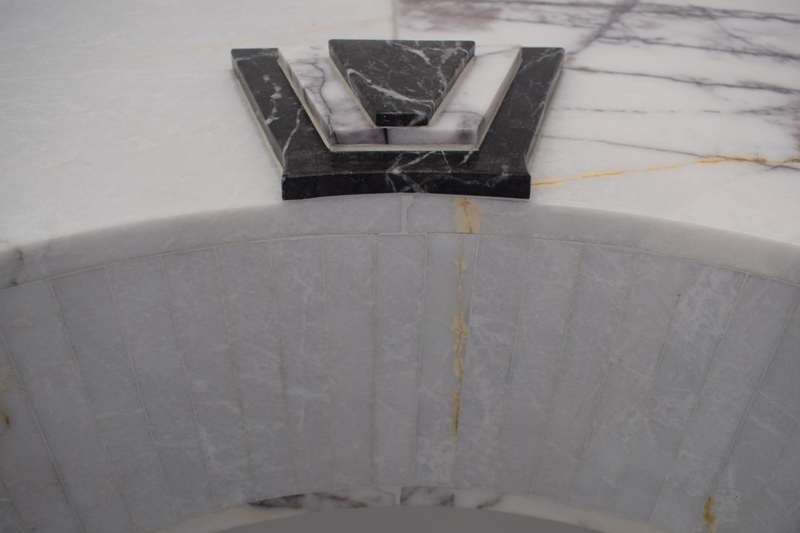 The unique combination of beautiful polished marbles centered in the archway design feature creates a very classic timeless masterpiece. 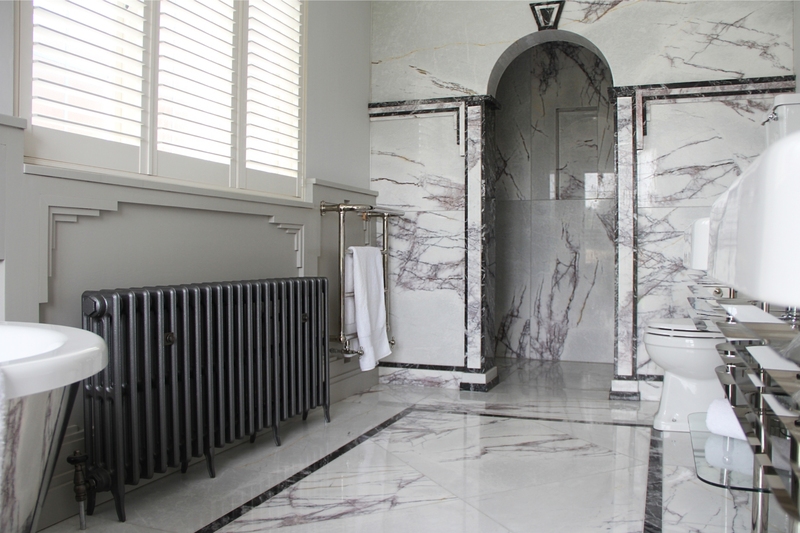 The products used in this project are Bianco Lilac polished and Grigio Carnico polished.